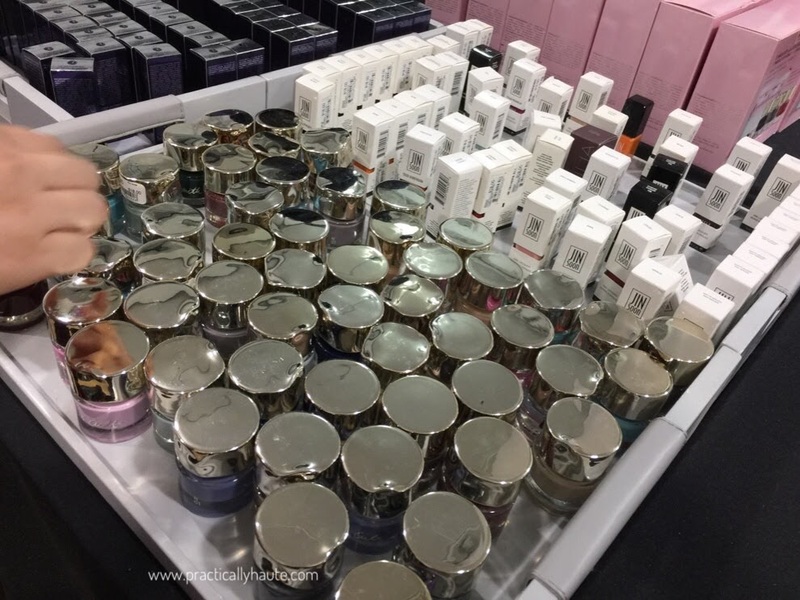 Beauty addicts raise your hand! Who’s ready to take a trip to outer space for a good bargain? 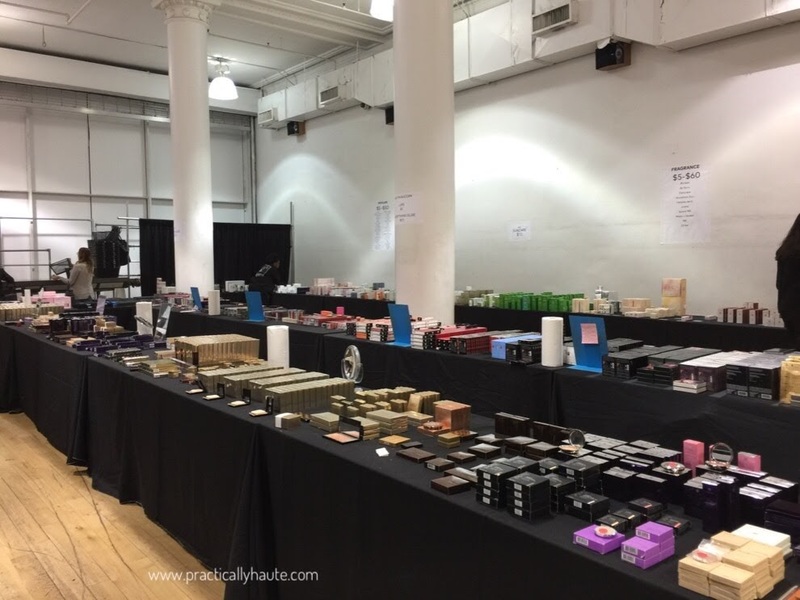 You may not need to travel quite that far because this week Space NK is holding an epic warehouse sale at 260 Sample Sale. 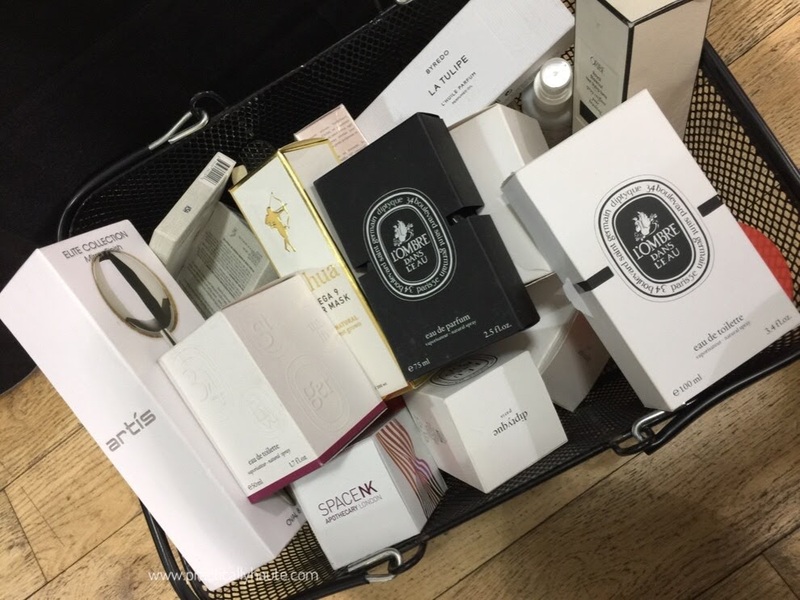 The London based apothecary has locations throughout US including their SoHo boutique as well as counters inside Bloomingdales. 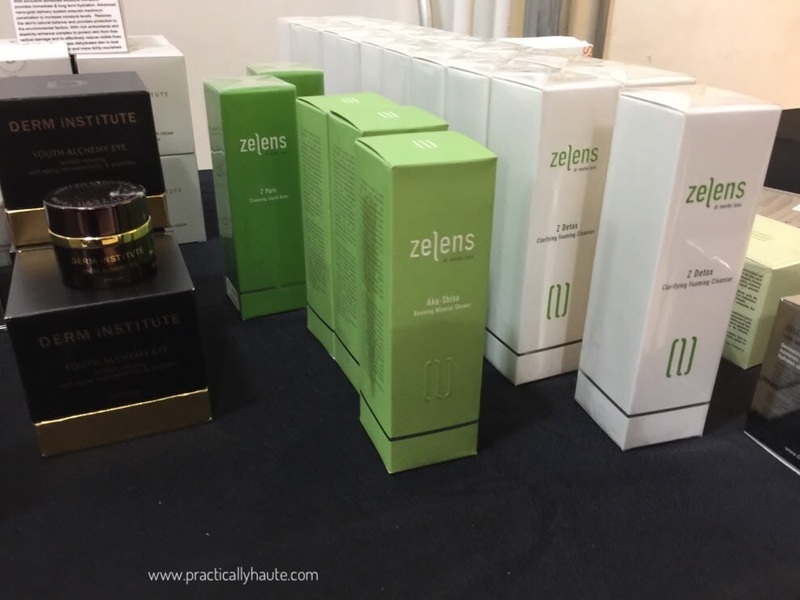 It’s a beauty and skincare mecca that offers a wide assortment of high-end luxury brands and many of which are available at this week’s sample sale. 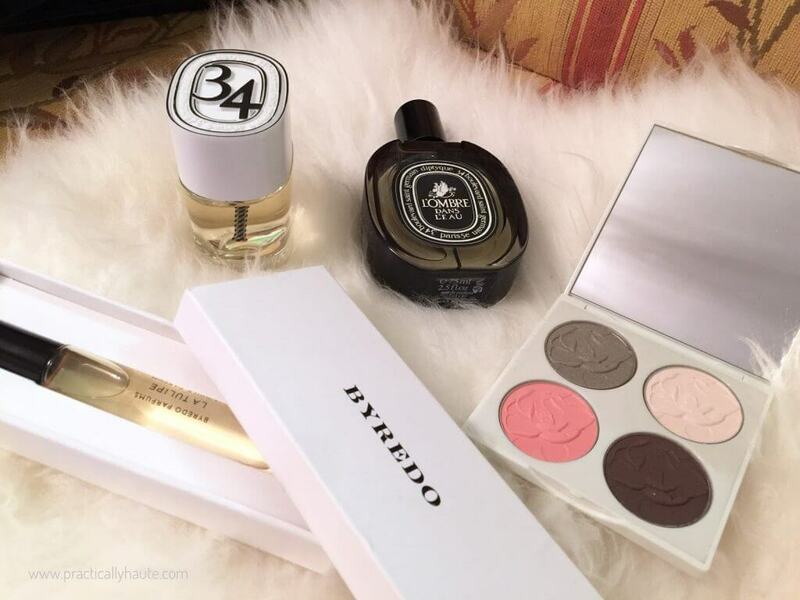 Think Diptyque, Oribe, By Terry, Eve Lom, Rodial, Hourglass, Kevyn Aucoin, NuFace, Chantecaille, and so so many more. 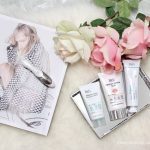 All I can say is that this sale far exceeded mine and everyone else’s expectations so read on for all the epic, incredible, and out of this world deals offered by Space NK. The event officially opened to the public Tuesday morning and much to nobody’s surprise the lines were long (I’m talking at least 3 hour wait times). 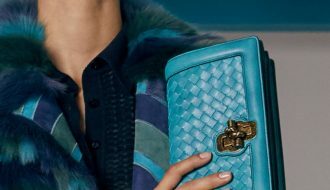 Previously advertised discounts promised savings of up to 70% off retail which is on par with Space NK’s online clearance sales. Of course if like myself you actually shopped these sale before you’d know that the discounts can go much higher! This was true here as well. In fact everything was priced at $2 to $60. The deals were unbelievable to say the least. Smith & Cult, Jin Soon, By Terry nail polish for only $2? Yes please! 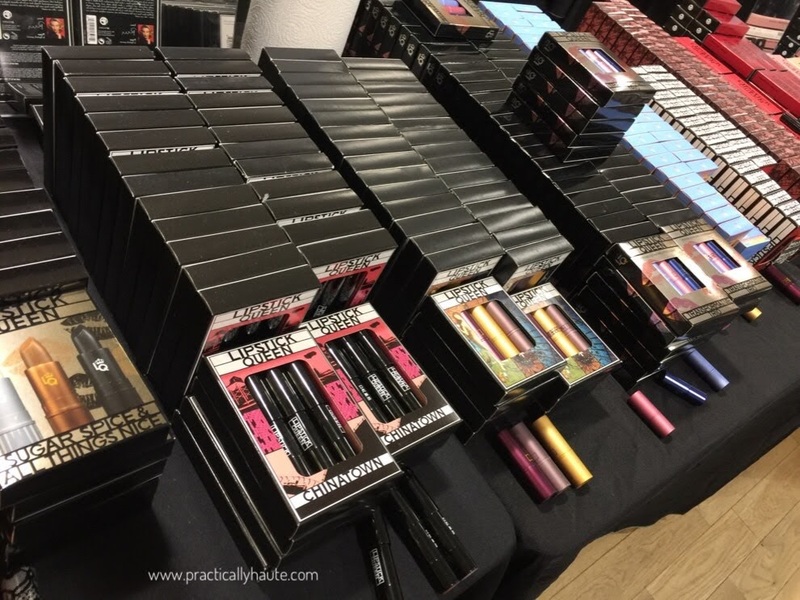 All lipsticks just $5?! Holy crap! 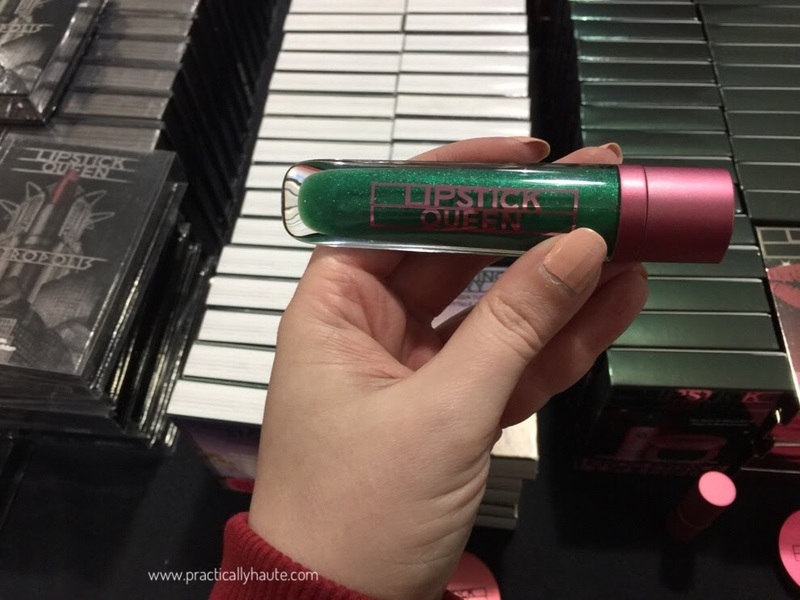 Majority was from Lipstick Queen but they also had By Terry (which retails for $50), Kevyn Aucoin, and Nudestix. 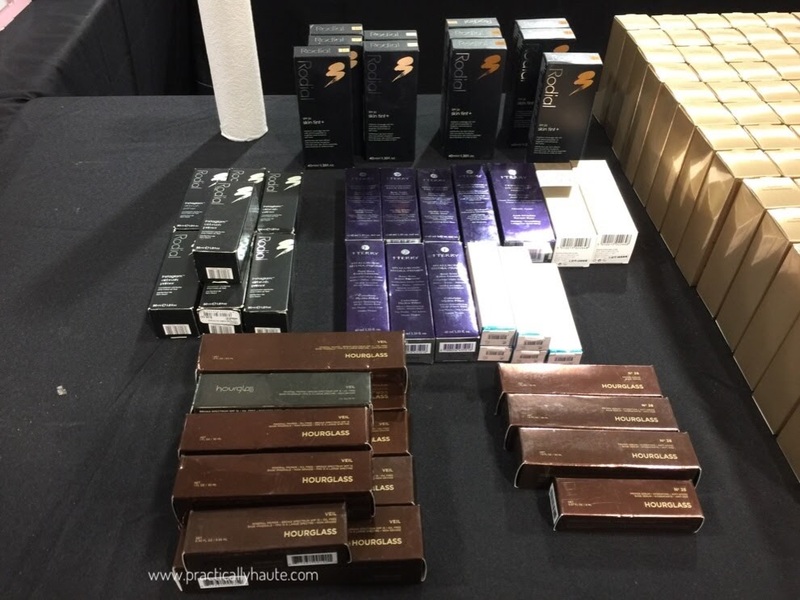 The rest of the makeup was priced at $10 including Hourglass and Chantecaille palettes! Great deals also meant that products are selling out at light speed. 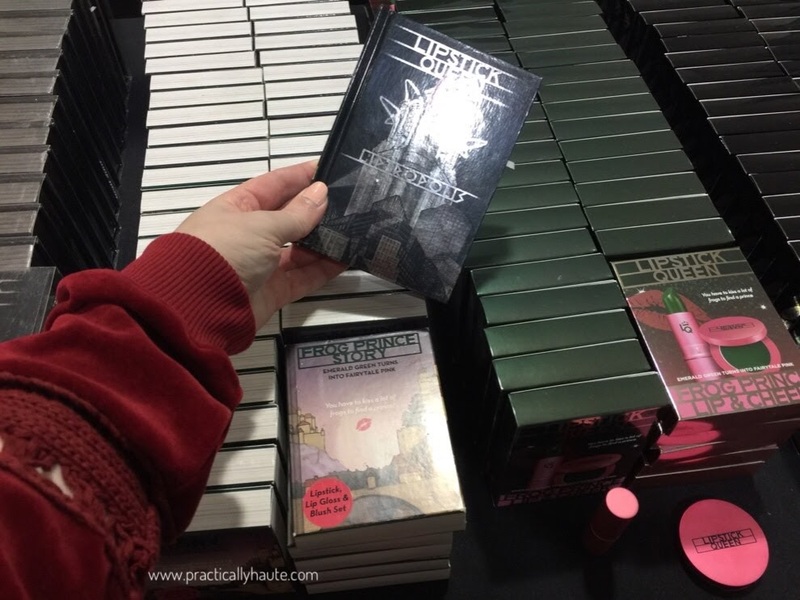 Last evening I’ve had the pleasure of attending the VIP preview and even then things began flying off the tables and shelves. 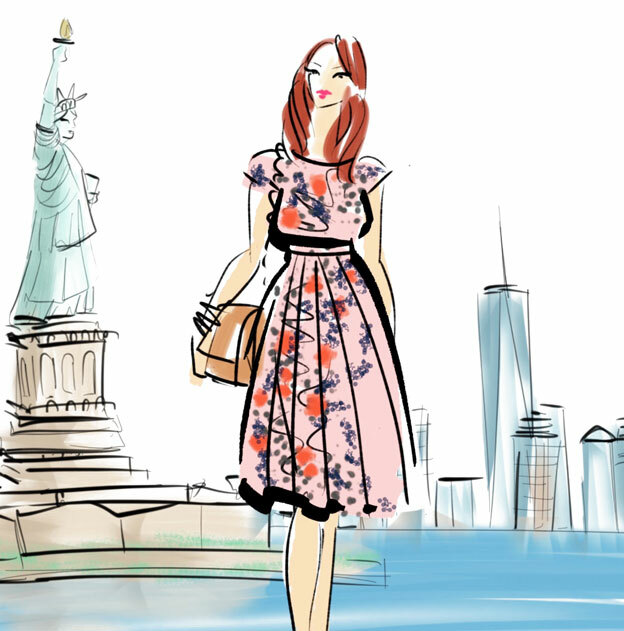 The preview was strictly for Space NK employees first, then the friends & family were invited to shop. 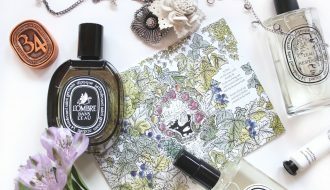 I was among the first 10 people inside and you can venture a guess as to where I went first lol So far this year we have not had a proper Diptyque sample sale and understably fans of luxury candles were anxious to get their hands on anything and everything that is Diptyque. A table in the left corner, past the coat check is where you’ll find perfumes, candles, and home fragrances. Sad to say but all the candles were snatched up within the first 10 minutes. Priced at $20 for standard candle and $15 for mini (respective retail being $65 and $35) shoppers were loading their baskets without even looking. At first I tried to find specific scents but once I saw what was happening I just ended up grabbing whatever was there. 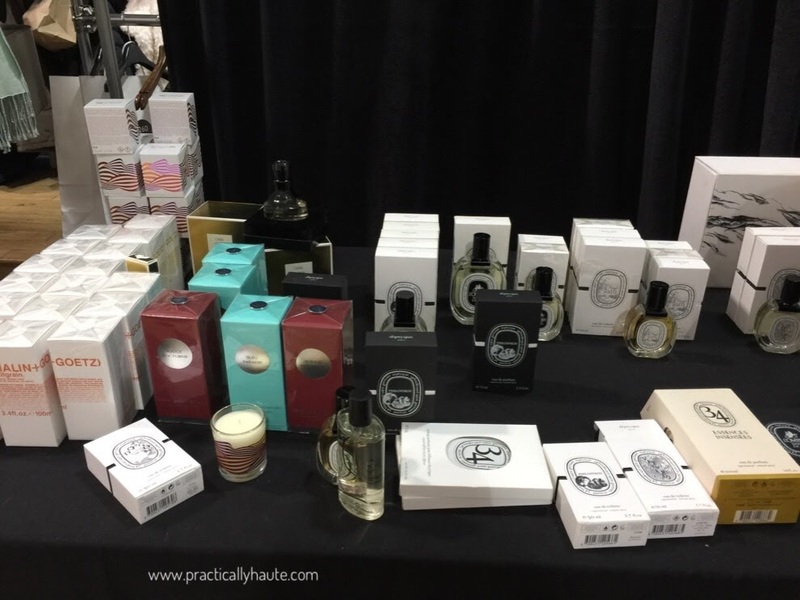 The selection was small and I saw a few classic scents like Tubereuse, Vanille, Roses, and Figuier as well as a few random holiday candles. There were diffuser sets for $60 that I believe retail over $200. 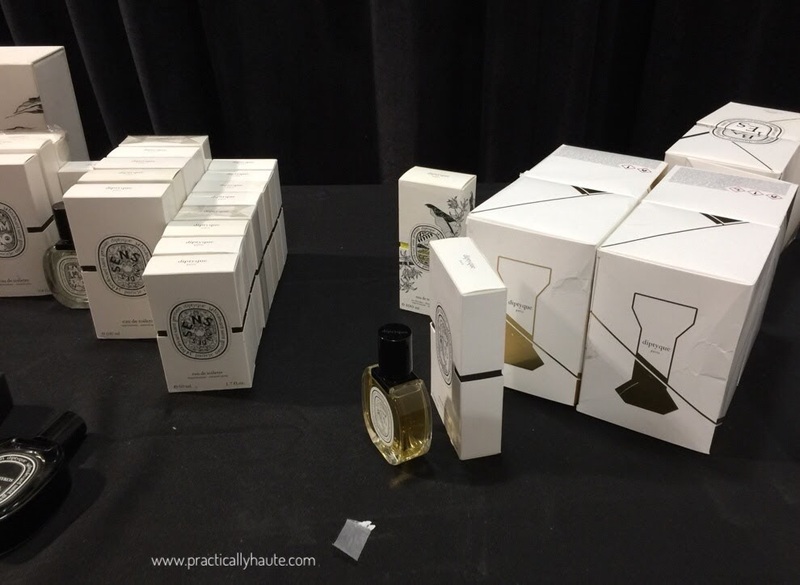 Personal fragrances were less popular although they all sold out once the sale went public this morning. 100ml EDT was $60, 75ml EDP $50, 50ml EDT $40. I recall seeing L’ombre Dans L’eau, Philosykos, Do Son, 34 Boulevard Saint Germaine, and Vetyverio. 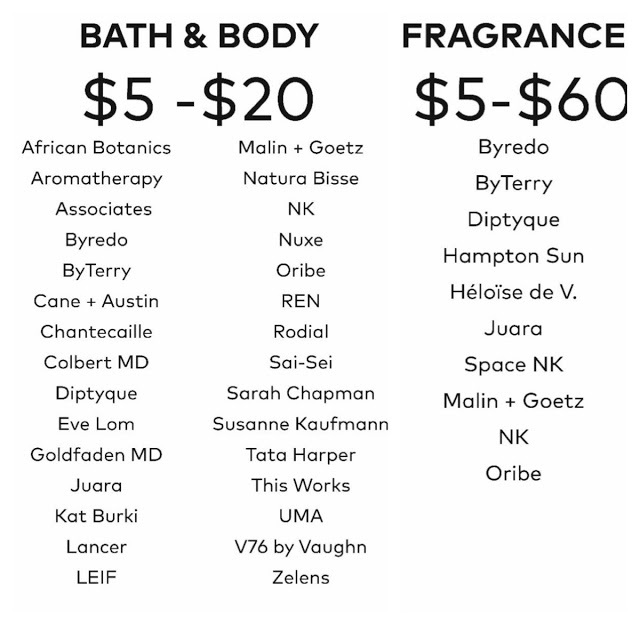 There was a tiny selection of Byredo perfumes for $20-$60. Someone grabbed the last Gypsy Water but I managed to get La Tulipe Rollerball. 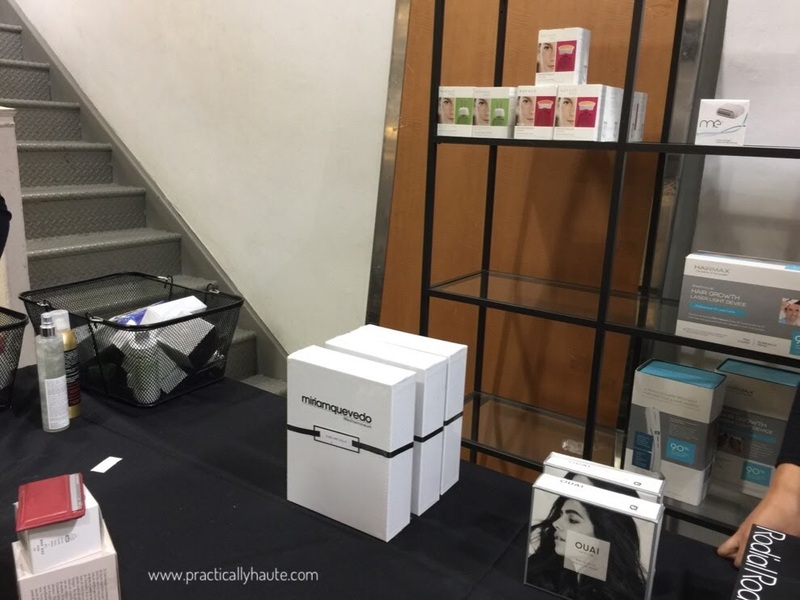 Along the left wall is where you’ll find tables full of skincare products arranged by brand. 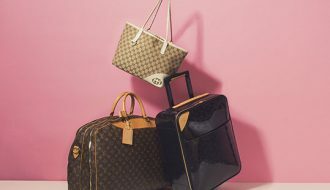 Prices are between $5 and $50 but because nothing was individually labeled you had to wait for a sales person to scan the item to find out the final price. 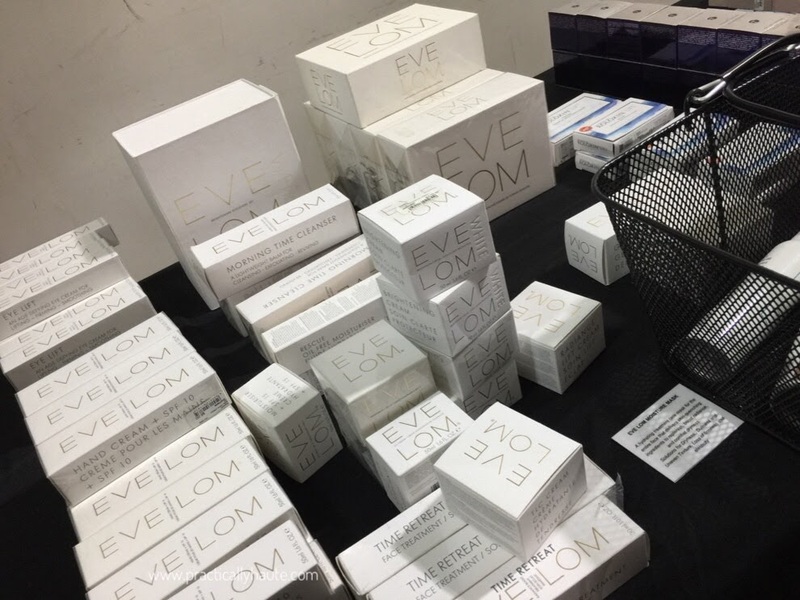 Unfortunately I didn’t have time to check each individual piece but for the most part the really high-end creams and serums were $50. All SPF products were $10. 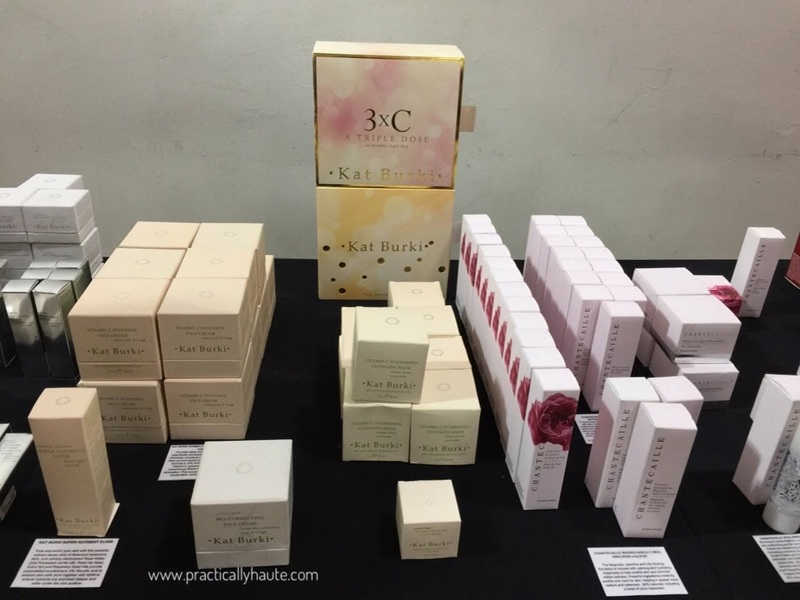 Average skincare and body care prices were around $20-$30. 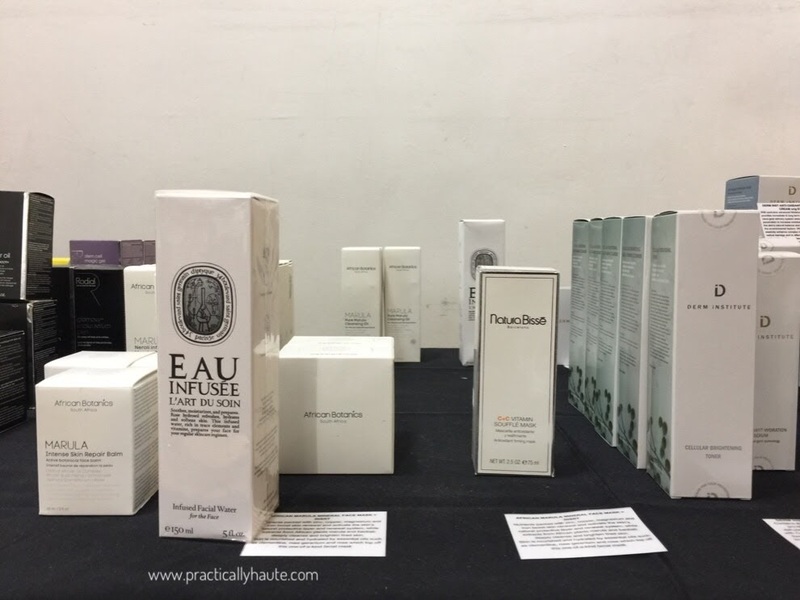 Chantecaille, Kat Burki, By Terry, Natura Bisse, African Botanics, Derm Institute, Zelens, Juara, Rodial, Eve Lom, and Tata Harper were among the brands. I was told that Sunday Riley would be restocked for the public opening. 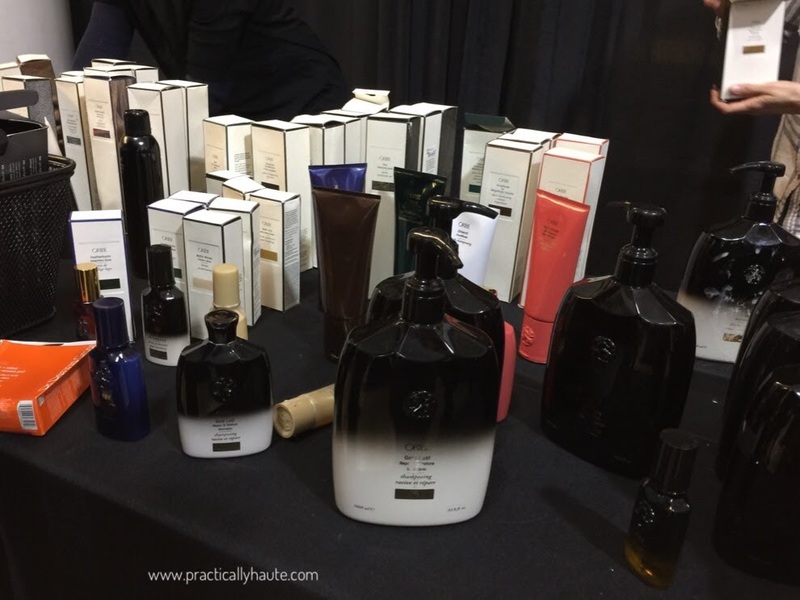 There was a handful of products like Juno Essential Face Oil during employee preview but I haven’t seen them myself. 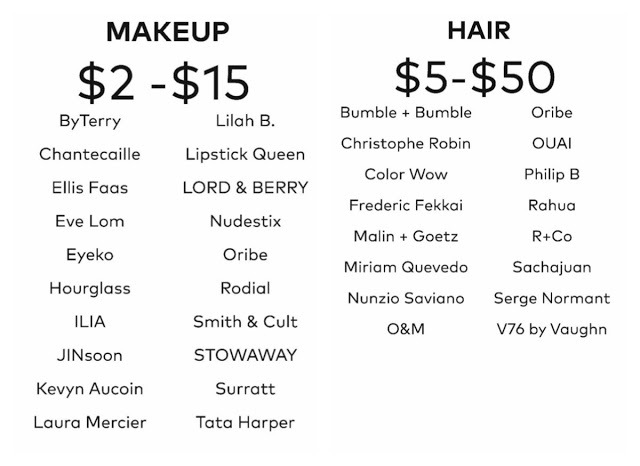 All the way in the back you’ll find hair products from Oribe, Ouai, Rahua, Myriam Quevedo, R+Co, Phillip B., Bumble & Bumble, and even some Christophe Robin. 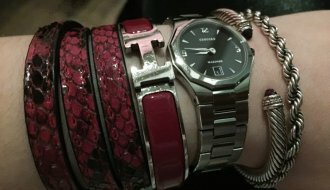 Most everything was just $10! 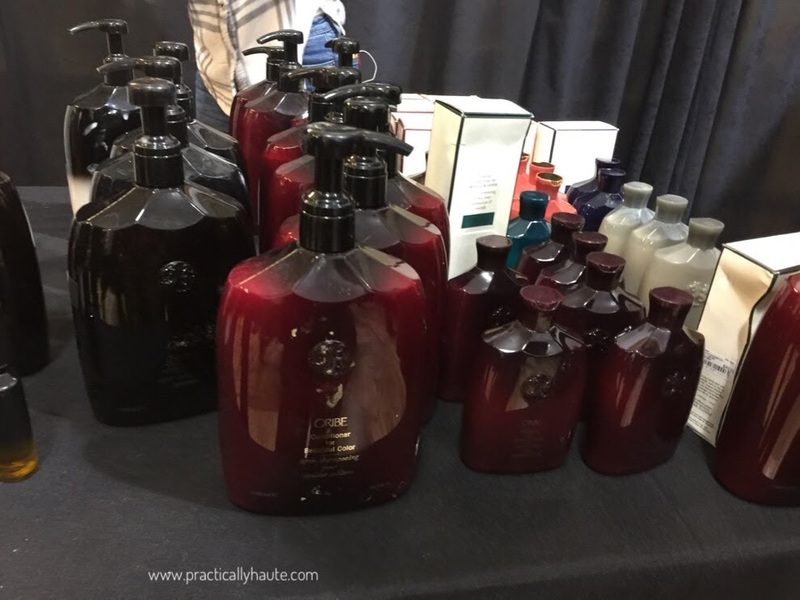 Some Oribe sprays like Royal Blowout Heat Styling Spray were $15 and the giant 1000ml Shampoo and Conditioner were $50 (retail $154). I was excited to finally try Christophe Robin Regenerating Mask (retail $71) and Purifying Sea Salt Scrub (retail $19). Near the registers you’ll find beauty and hair tools. Ghd Curling Irons were $50, single barrel wave makers were just $10, Clarisonic Mia was $25. 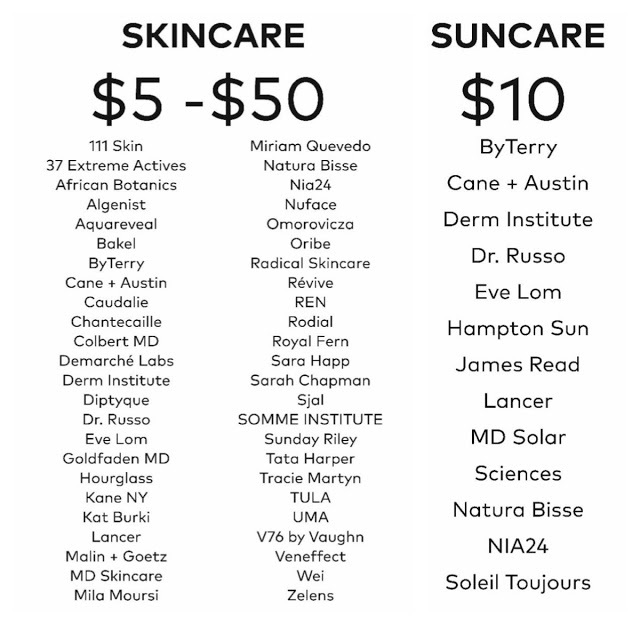 I didn’t check NuFAce prices but I believe they were just $50. 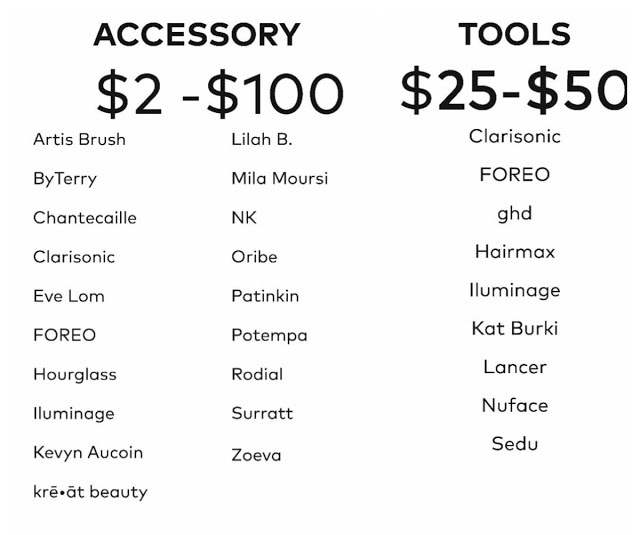 Artis makeup brushes were cheaper than at their own sale last month! 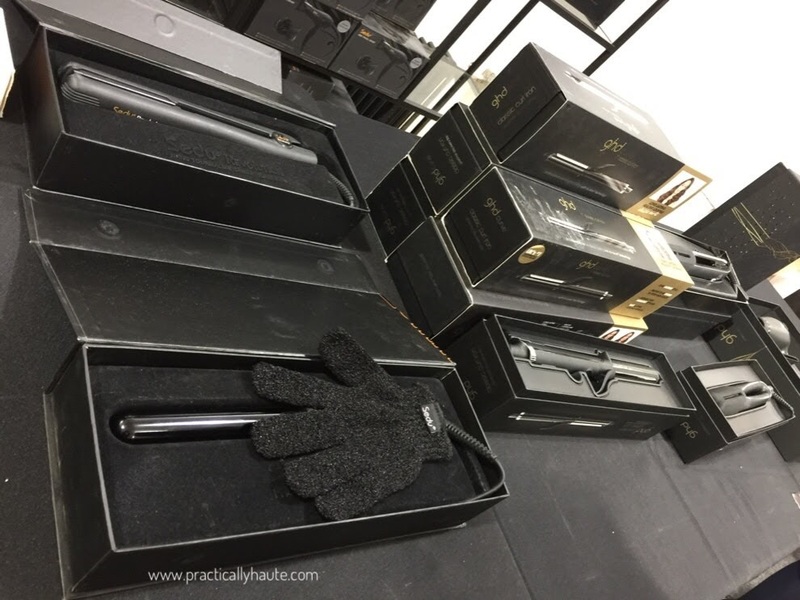 Single brushes were $15 while sets were $35 and $50. There were more brushes from Kevyn Aucoin and Hourglass for only $10 on the table across. 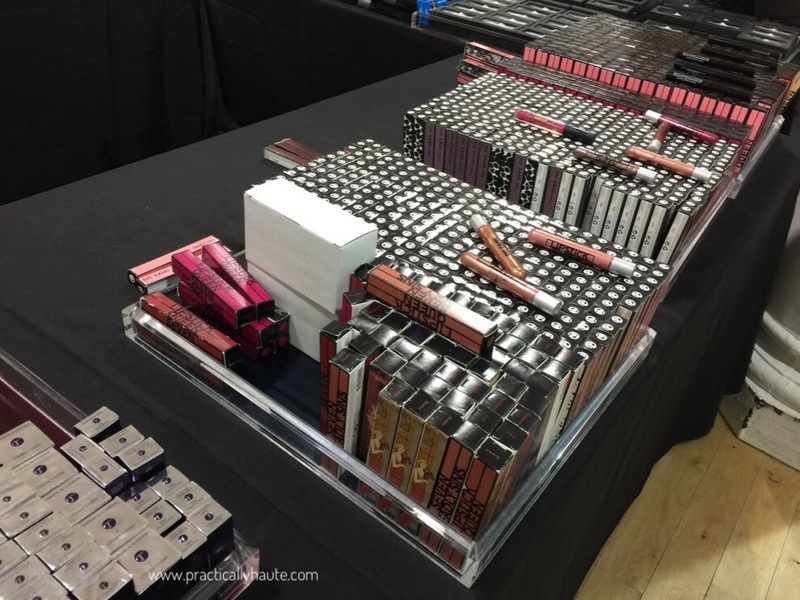 Tables in the middle hold all the makeup products. 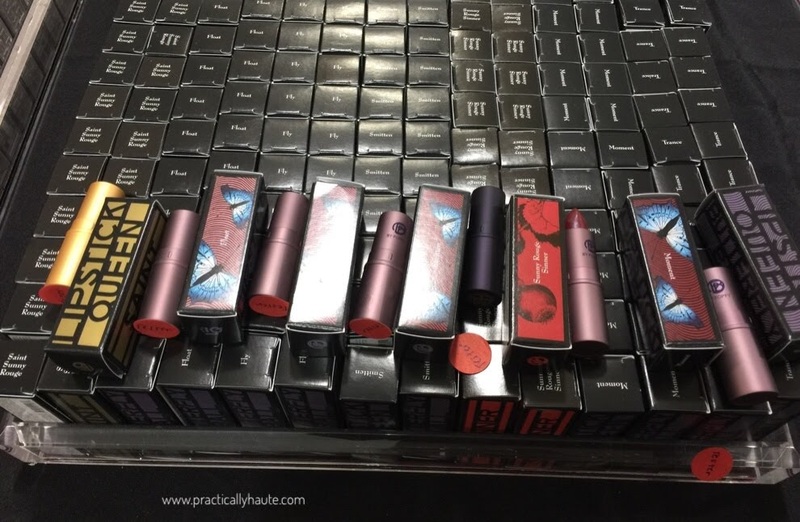 There was a huge selection of Lipstick Queen sets for $15 (Frog Prince, Smokey, and Best Sellers) and single lipsticks for just $5 (including these that retail for $50!). 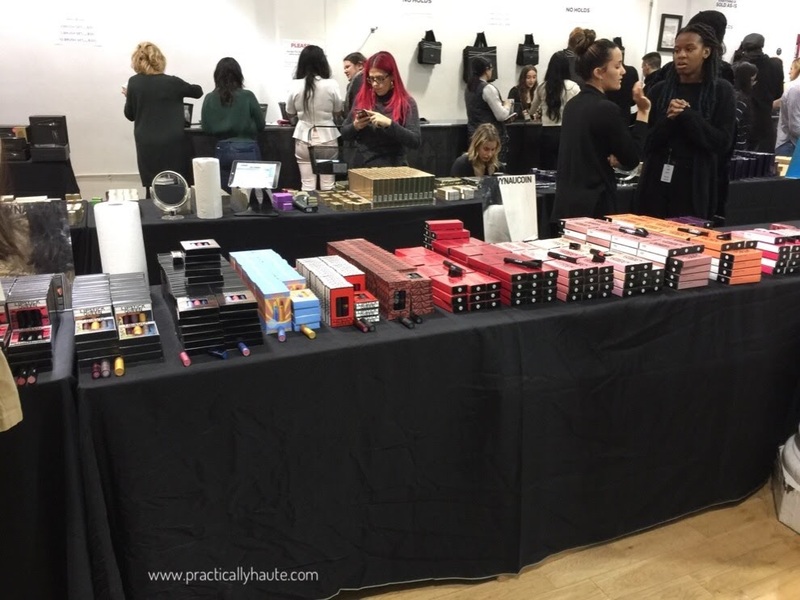 I didn’t see much in terms of eyeliners but eye shadow palettes offered amazing bargains. Hourglass Modernist palette for only $10 (retail $58), Chantecaille Magnolia Eye And Cheek Palette also $10 (retail $85), By Terry Sun Designer Palette (retail $82). 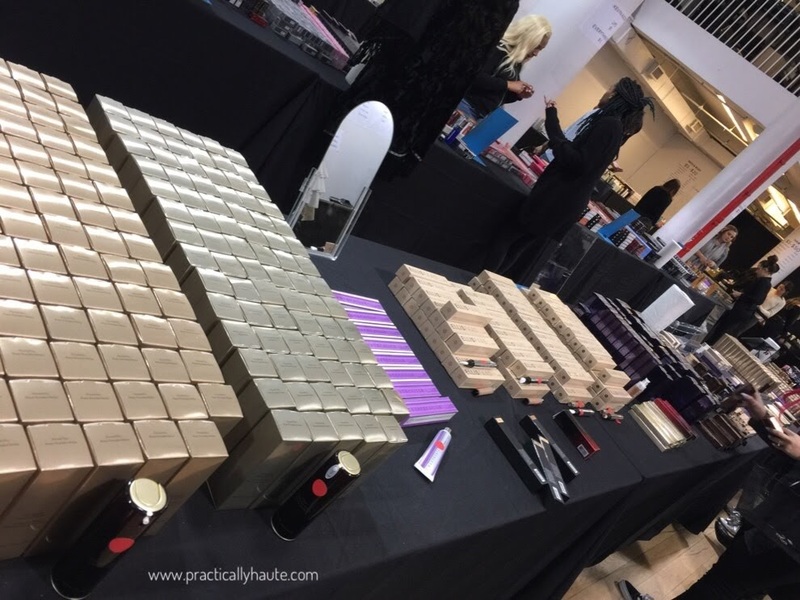 There was foundation, primers, and yes even an Ambient Light Palette from Hourglass but by the time I figured out where it was only the tester remained. 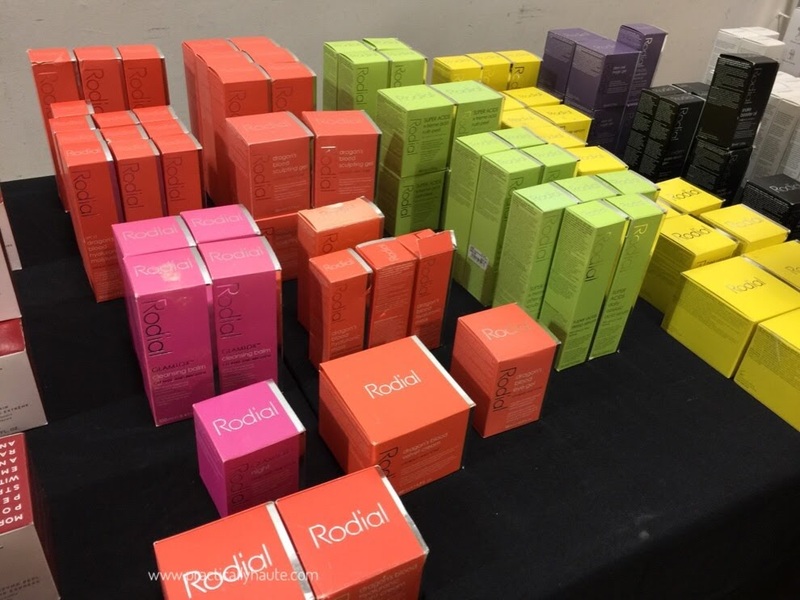 It’s worth noting that many products looked like they were previously opened returns and from what I saw expiration dates were this year or next at best. Still at these prices I think the bargains were simply too good to pass up! 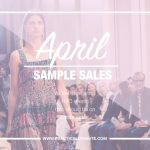 Did you make it to this sale? I’d love to hear from you in the comments section! BOTTOM LINE: With savings like these you must buy anything and everything! 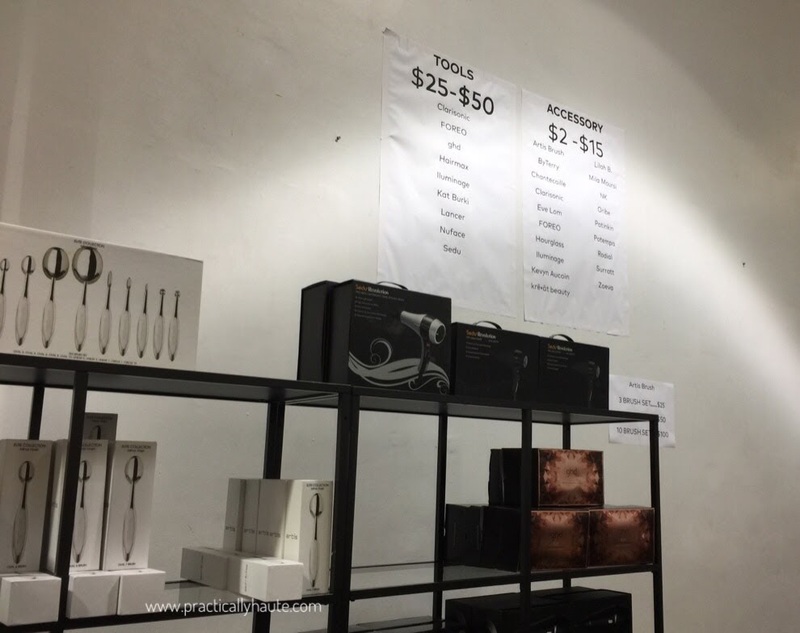 The opening drew huge crowds and unfortunately many products are currently sold out. the good news is that I was told there will be restocking on Thursday so if you haven’t shopped yet I would hold off until then. As always stay up to date with social media updates. Normally I would say there will be additional markdowns during the weekends but at this rate who knows what or even if anything will be left.